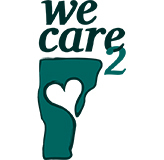 We Care 2 is a member-directed, giving program that distributes $23,000 in donation funds to five non-profit organizations that are seeking funding to positively impact Vermonters’ essential needs in the areas of food, shelter, heat, environment, or financial education. Funds are distributed based on votes cast by the VSECU membership. Congratulations to the five 2019 We Care 2 finalists! Learn more about each organization and what they will do with the donation funds directed by the VSECU membership. Vermont Youth Conservation Corps (VYCC) is a nonprofit conservation, farm, and education organization that teaches youth and young adults personal responsibility through meaningful work that connects them to the land, community, and one another. VYCC’s two major programs—Conservation and Farm—provide a variety of opportunities, including building trails, constructing bridges, improving waterways, farming, and addressing complex issues of hunger, nutrition, food access, and responsible land use. Corps Members are ages 15-24 and serve on 6- to 10-member crews all year long. Every VYCC position offers meaningful employment, connections with the natural world, and the challenge of completing high quality community service projects. Working alongside peers, Corps Members are part of a culture dedicated to service, self-improvement, workforce development, and professional success. Green Mountain United Way serves Washington, Orange, Caledonia, Essex, and Orleans Counties. We operate programs focused on multiplying the impact of our work of our nonprofit partners to ensure that everyone in our communities has the opportunity to thrive. Funding will support our K.E.E.P. Financial Coaching Program. K.E.E.P. trains client-facing staff at area nonprofits in financial literacy and behavior-change coaching. These skills complement a coach’s skillsets and builds on existing client relationships. Coaches empower clients to address core financial issues that are impacting their ability to overcome life challenges. The program includes an intensive introductory training, ongoing topic-specific trainings from local and regional experts, implementation support from the United Way Master Coach, and regular peer support meetings. Vermont has the 5th largest affordability gap in the nation, limiting the availability of conditions vital for a healthy and prosperous life. Downstreet exists to eradicate this systemic challenge. Downstreet is the leading affordable housing provider in Central Vermont. Dedicated to the core beliefs that everyone deserves a home and that there is power in community, Downstreet creates and preserves affordable housing while connecting people and families to the resource they need to thrive. We serve youth, families, full-time employed couples, single-parents, the homeless, two-job working adults, medically-disabled, teenagers, senior adults, young adults…we serve EVERYONE because home is EVERYTHING. By voting for Downstreet, you’re voting for vibrant and inclusive communities where EVERYone has a chance to prosper. Age Well is a nonprofit whose mission is to provide the support and guidance that inspires our community to embrace aging with confidence. Age Well offers care & service coordination, Meals on Wheels, community meals, wellness programs, social activities, transportation services, expertise on Medicare, insurance, and long and short-term care options, and a helpline to aging Vermonters living Addison, Chittenden, Franklin, and Grand Isle counties. For more than 40 years, this network of services has helped seniors to stay independent and remain healthy at home, where they want to be. As the largest Agency on Aging and provider of Meals on Wheels in the state, we rely on more than 1,000 volunteers and the support of our community to deliver our services. Each day our staff and volunteers step into a home with the goal of keeping aging Vermonters active, health, safe and independent and helping to combat the three biggest threats of aging; hunger, isolation and loss of independence. The Veterans Outreach and Family Resource Center provides assistance to veterans for keeping housing, finding housing, paying bills, and providing food and clothing for themselves and their families. They operate on private donations and fundraisers put on by Outreach volunteers. The Outreach is open to all veterans and their families to provide support. Veterans can come in and relax, watch television, do their laundry, and have some coffee. Outreach also has a veteran service officer available to assist with paperwork. Funds will go to helping veterans and their families stay in their homes, have heat, and enjoy another home-cooked meal.